EVS Ltd strive to provide an efficient, high quality service to all our clients; we pride ourselves in our motivated and client-friendly approach from initial contact to conclusion of a project. I have been using contractors in our work place for 15 years and EVS Ltd are one of the best professional organisations in that time. Their attention to detail is heartening and I am always sure that anything I ask is done properly and promptly and, more importantly, confirmed to me so efficiently that I have less to worry about than would normally be the case with other contractors. EVS Ltd were approached by AGCCE to identify the level of compliance of our LEV systems and provide support on an improvement program, a good level of competence on all the areas required has been evident, from field testing to design of new systems with particular detail on good reporting and safety compliance, including latest guidelines from regulatory bodies. Agrivert Ltd have awarded Engineered Ventilation Solutions Ltd a number of ventilation projects on both new and existing sites, the most recent at Agrivert’s new anaerobic digestion plant at Chertsey in Surrey which has achieved a major milestone by successfully exporting energy to the National Grid for the first time. From initial design through to supply, installation work and commissioning, EVS Ltd have provided their services and products within an agreed budget and just as importantly within an agreed timescale, ensuring no disruption to Agrivert’s construction programme. The works were carried out safely within a challenging environment, complying with all the relevant H&S / CDM regulations, professionally and to a high standard of workmanship. Agrivert is extremely satisfied with the service provided by EVS Ltd and we would not hesitate in recommending this company. At Akzo Nobel, the UK’s largest coatings company, we have had need for a number of ventilation solutions such as LEV, warehouse heating and ventilation, laboratory ventilation, spray booth ventilation and ventilation to full production areas. Eight years ago we were introduced to EVS Ltd as a company who could provide all of the above and more with the required certification and support. Since that time they have provided us with advice and service on all ventilation projects. I would like to take this opportunity to thank EVS Ltd for their professional and expert help in the examination, test and certification of our LEV systems here at Apeks Marine Equipment. 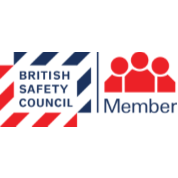 Their workmanship and willingness to help, advise and develop a working together ethic with the customer to ensure UK compliance is met is second to none. I have been in this role at Apeks for over 2 years now and EVS have helped me ensure we are compliant with the relevant UK legislation regarding LEV. The level of detail within the Operation and Maintenance Manuals EVS produce is second to none. We have worked with EVS Ltd for over eight years, both on a project basis installing new extraction equipment & LEV assessments and certification on existing equipment. On all occasions they work in a professional manner in all stages from design through to installation, keeping to the agreed project timescales and working within our production constraints. 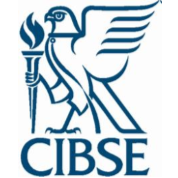 Our assessments are timely and thorough; with supporting documentation that was recently commented on by a spot check from a representative of the Health & Safety Executive of how impressed he was with all the aspects he was looking for covered. The best comment I can give is I do not have to worry about the legislation and servicing around the site’s extraction units, as EVS Ltd take care of it all for me, leaving me to concentrate on other production and equipment issues. It has been a pleasure and very efficient dealing with EVS Ltd. As a result, we have another Dust and Fume Extraction installation requirement in the pipeline and I will not hesitate to invite EVS to provide a design and quotation for this work. EVS Ltd have carried out works for Chubb Fire for the last 10 years. All of the projects were bespoke design and build for our particular applications. The most recent project, a new LEV system was redesigned by EVS Ltd to avoid Chubb having to carry out major building work to accommodate it. From initial visit to final commissioning the quality of workmanship, helpfulness and courtesy has been outstanding. EVS Ltd are the first company I call for any ventilation related works. I have always found EVS to be thorough and professional, their installation work is of a high standard and delivered on cost and on budget. 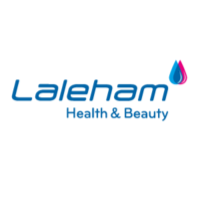 Support including servicing and reporting enables us to be confident that our Darwen Site LEV systems are always up to date, safe, compliant and in good condition. EVS Ltd have worked for Crown Paints Ltd for many years, installing new ventilation systems across our sites, and maintaining our existing LEV systems on a contract basis, and by response to call outs. 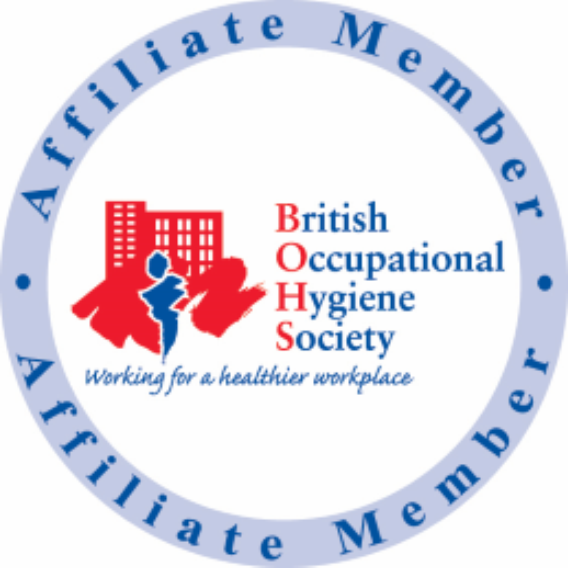 They also carry out our annual inspection as required by BSI audits. The extensive report produced by EVS Ltd is an impeccable and impressive document which always draws very satisfactory comments from our auditors. I have used EVS on two separate projects over the past two years, one being the refurbishment of five old LEV units and the design and installation of a new ductwork system to link all of these units to our powder filling lines, the other being a bespoke fume extraction system for our alcohol filling area with all the associated safety measures to allow it to be installed in an area with potentially explosive atmosphere. Both installations were completed on time, at a competitive rate and to a high standard. I would recommend EVS to anyone wanting their project completing to a highly professional standard. Engineered Ventilation Solutions Ltd (EVS) provided an excellent and professional service from general support and guidance, right through to installation and service to all our industrial LEV systems. On every site visit they were prompt to the agreed date and time, worked in a professional manner to our site Health & Safety Rules with little impact to our working environment. During our OHSAS 18001:2007 Periodic Audits under section “Monitoring & Surveys”, we always achieved a very high score of conformity due to EVS Ltd continuous support and professional service. 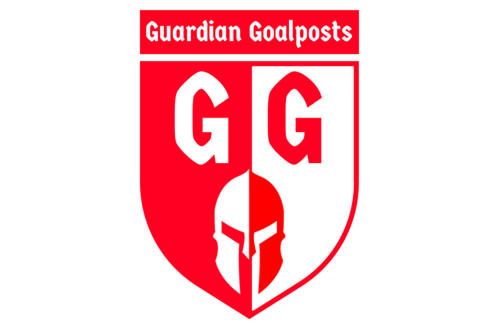 Guardian Goalposts had a specific need which EVS fully understood. EVS worked closely with us to satisfy that need successfully, and without complication. The assistance and support given by all was efficient, professional and first class at all times. I would highly recommend EVS for their unrivalled service and efficiency. I approached Engineered Ventilation Solutions to provide me with new fans to replace old fans which had been fitted many years ago. I received a fast efficient service which fitted our needs. I would not hesitate to use them again. Engineered Ventilation Solutions were approached to install a new fan and modify ducting on a switchroom pressurisation duty. Following a site survey a number of proposals were put forward for various options. After discussion one was agreed upon and a date for installation set. Although problems arose on the day of installation these were overcome and the job completed and commissioned in a professional manner. I would have no hesitation in using EVS for similar projects in the future. 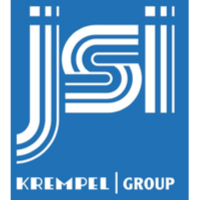 JSI / Krempel Group based at Longridge, Preston, have appointed Engineered Ventilation Solutions Ltd for a number of projects in the last few years. They have always demonstrated sound expertise and professionalism throughout the stages of each project, from evaluation, design, project management, installation and commissioning. 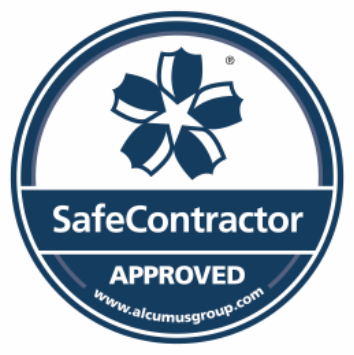 They have always installed high quality systems that have always received positive feedback from our customers, insurance assessors and the HSE. I would have no hesitation in recommending EVS Ltd to a potential client requiring expertise in LEV systems. Another quality installation from EVS Ltd, thanks to the team for all the support. Kaman Composites UK Ltd have engaged the services of Engineered Ventilation Solutions Ltd for a number of projects in recent years. The expertise and professionalism from the initial evaluation and design, through project management, installation, commissioning and re-certification is found to be first class. With their experience, knowledge and practical approach, EVS Ltd have been readily available to support all areas of the business, providing guidance and reassurance when required, and the assurance to comply with HSE legislative requirements. I would have no hesitation in recommending EVS Ltd to a potential client requiring expertise in LEV systems. I would like to extend my gratitude to EVS Ltd with regards to a service, filter replacement and an LEV assessment undertaken on an LEV system located within our Joiners Workshop. I was particularly impressed with the knowledge, courtesy and professionalism of the attending engineers. Thanks once again. I have engaged EVS Ltd for a number of projects over the past few years and found them professional in every respect of the service they provide from planning and design to installation, testing and certification to current standards and would not hesitate to use EVS Ltd on any future project. A big thanks to the team at EVS. At the back end of 2012, I had reason to look elsewhere for the inspection and maintenance of all Porter Lancastrian ventilation and extraction systems and decided to give a local company (EVS) a chance, and I was not disappointed. EVS came in to assess all the equipment and very quickly and professionally inspected all systems and made certain recommendations for improvements. The quotation to carry out all of the work including the purchase and installation of some new equipment was quickly sent out and accepted. The team came on site in January 2013 and did a first class professional job on the installation and assessment of all equipment and all relevant documentation and certification was forwarded electronically and hard copy folders posted very soon after completion of the work. Engineered Ventilation Solutions will for the foreseeable future continue with all the maintenance of relevant equipment for Porter Lancastrian Limited. I have no hesitation in recommending Engineered Ventilation Solutions to anyone requiring a professional company to carry out purchase, installation & maintenance of relevant equipment required. I have used EVS for the last 12 months covering new installations, servicing & testing. They offer a far more professional service than any other ventilation company I have used. 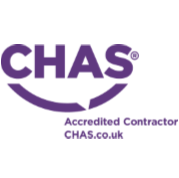 Their knowledge of the regulations is second to none, their health & safety record is exceptional, they are reliable and see a job through to the finish and their paperwork meets all legal requirements; a complete package. I would recommend them without a shadow of a doubt. EVS Ltd have worked with us on a number of sites over the last 6 years both new build and existing operational projects, they have always provided an excellent level of service which at times can be quite challenging in our waste facilities. During the past 6 years Engineered Ventilation Solutions Ltd have been successful in being awarded numerous building ventilation / extraction projects by TEG on various TEG sites both operational and new build. All new build works were completed to an agreed timescale whilst operational projects were planned to maintain similar timescales whilst ensuring the plant remained fully operational – a major plus factor. The works were carried out within a challenging environment, safely complying with all the relevant H&S / CDM regulations, professionally, to plan, in budget and to a high standard of workmanship. TEG is extremely satisfied with the end results which have helped to greatly improve the internal operating conditions of the building envelope. We have used various companies over the years to install and maintain our extraction systems, but none have matched the professionalism and expertise of Engineered Ventilation Solutions Ltd. They lead from day one in terms of the competitiveness of their quotation and speed of installation. Their after sale support was also excellent, ensuring that all legal requirements were not only met but exceeded and our staff fully trained. On completion they presented us with an indexed file containing full instructions, commissioning certificates and accreditations. Rarely have we seen such meticulous attention to detail. We can highly recommend them. Engineered Ventilation Solutions Ltd have carried out the following work over the past two years: Designed, supplied and commissioned capture systems in EX areas; carried out annual LEV inspection and certification. Where failures have been found, EVS Ltd have designed, altered, commissioned and re-certified systems. 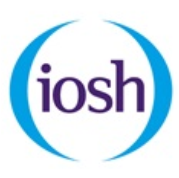 Method Statements and Risk Assessments are supplied and agreed before work starts; the workforce work within site rules and adhere to H&S rules as stated on the Risk Assessments. Any areas of concern are discussed at the time of finding, there is always a positive and motivational attitude to overcoming any issues that arise during any work. Housekeeping is good, during and after any work carried out. To date we have had no issues, all systems supplied have been to our satisfaction; EVS Ltd are presently carrying out work on site and I will continue to use EVS Ltd for future work. I have always found EVS Ltd to be extremely helpful in providing effective LEV solutions; always supplying a reliable and professional level of service, throughout a number of successful projects. Engineered Ventilation Solutions (EVS) Ltd provided an excellent service from tender to commissioning. We selected EVS Ltd to provide and install a general extraction system for a ATEX Zone 1 production facility. All up front design, engineering and purchasing was carried out by EVS Ltd with minimum intrusion on the plant or personnel. All personnel involved were very knowledgeable and the installation was carried out safely, on time and on budget with the plant still in full operation. The installation crew went out of their way to ensure the work did not interfere with production and that the testing and commissioning was completed on time. The operating manual and test results were fully documented and professionally presented making it easy to add to our maintenance systems. The total project experience was excellent and we would not hesitate to use EVS Ltd again or recommend them to other sites or companies. Vitafoam used Engineered Ventilation Solutions Ltd for an important project installing Local Exhaust Ventilation systems in a working production factory environment. The work was completed on time, to budget in a safe and professional manner. The LEV systems installed are working well without any problems and the advice given by the EVS Ltd team whilst we were specifying the system was excellent. I would recommend Engineered Ventilation Solutions Ltd. 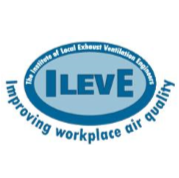 I am happy to recommend EVS Ltd for ventilation solutions within a business. The system was installed several years ago without a hitch with the installers working around our staff with consideration and cooperation. We have had no problems with it throughout its life. It is serviced annually and is a system we don’t have to worry about. I would happily order another system from Engineered Ventilation Solutions Ltd without hesitation. We contacted a number of ventilation specialists in the first quarter of 2012 to discuss our extensive relocation and ventilation requirements. Based upon knowledge, experience, understanding of UK Legislation and their competitive price structuring we awarded a contract to EVS Ltd for the renewal of all ventilation systems, who delivered exactly what was required, within budget and equally as important within a challenging timescale. We have a continuing relationship with EVS Ltd and we would not hesitate in recommending this company to any business requiring their services and products.